Are you here to see what dog sleep aids are out there for your pooch or perhaps wanting to do some research first to see if dogs can take sleeping aids? Or lastly, has your dog eaten a sleeping aid and you aren’t sure what to do? Well you’re in the right place! Have you read our article on how much dogs actually sleep in a day? If not, don’t worry as it’s not essential to understanding what’s going on here. The point we’re trying to make it that dogs sleep a lot! So it’s quite rare that a dog should ever need any sleeping aids or sleeping pills or any kind of sleep-inducing medicine at all. Can I give my dog Z-drugs? Can I give my dog “valium”? Want to help your dog sleep well but don’t want to give them sleeping pills? Here we list some of the things you can do and some things you can give your pooch to help them catch some Zs. Let’s start with the basics. Does your dog have a comfortable place to sleep in? Is it dry and away from any draughts or the cold? Make sure all of these are checked. We have a great page on the JugDog site which recommends some great dog beds. Why not check them out? Our most recommended dog bed is the PetFusion bed. If your dog’s insomnia is caused by anxiety or stress then some medicine using natural ingredients may help. Please not that these are not to be confused with sleeping pills. 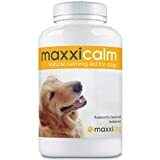 They will simply help your dog relax and fall asleep naturally. They are non drowsy which seems counter productive but if you read just some of the 200+ reviews you’ll see these really work. Give your dog a nice calm environment to live in and it will help their wellbeing tremendously. How do you create a place that’s calm for a dog? Well, first of all make sure their living area is clean, dry and warm and they have somewhere comfortable to rest (dog bed). Next, you can make sure the sights and sounds of their living area is relaxing – why not try and make the sights and sounds comfortable? Check out the reviews, this stuff works very well as it provides a white noise which cuts out all the harsh sounds of the world. Close to a 100 reviews can’t be wrong and it’s pretty cheap for £10. Poor nutrition can lead to many problems for a dog which can include sleeping problems. Make sure you feed your dog quality wet and dry food thats full of vitamins, minerals and fibrous goodness. Just make sure not to feed your dog sleeping pills! This one goes hand in hand with having a good nutrition plan for your pooch to aid their sleep. Tired dogs are good dogs and good dogs are happy dogs. Happy good dogs sleep well, it’s as simple as that. So grab your harness and head on out for some fresh air and quality exercise. No. You should not give your dog sleeping pills or medicine under any circumstances. You just don’t know what it will do them as almost all known sleeping pills are designed for humans and not for canines. The risk is simply too high. The best course of action is to first find out what’s causing a lack of sleep and then treat the symptoms first, chances are they are anxious or in pain but this will be covered more later. Listed in this article are numerous sleeping aids you can safely use on your dog if they need it as well as symptoms which are causing sleepless nights for your and your pooch. So, we repeat – No, you should not give your dog sleeping pills. Benadryl is a brand name for diphenhydramine and is known for being an over the counter drug for pooches suffering from anxiety, motion sickness, allergies and as a sedative. It isn’t a dog specific drug and it’s purpose is not to help them sleep. Not all dogs take to Benadryl and it has been known to cause some bad reactions. If all you want to do is help your dog sleep then JugDog simply can not recommend Benadryl. Z-drugs are similar human made drugs to benzodiazepine (valium) to help treat insomnia. These strong drugs are not made for dogs and really shouldn’t be given to dogs. We firmly believe helping your dog to sleep is an easy one (covered in another area) and giving dogs risky drugs, to us, is a very lazy and irresponsible thing to do unless vet recommends it. Valium, also known as Diazepam or benzodiazepine (a common sleeping pill) is a human and canine sedative and muscle relaxant. It has a not so great reputation with humans so why on earth would you want to give it to your dog? 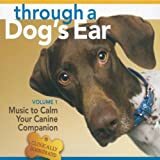 If your dog is anxious and in need to relax there are also much better recommendations out there which we will cover later. However, if you want your dog to have a good night’s sleep then please don’t give them any valium. Dogs, like humans, can suffer from sleeping problems too. However with dogs they just aren’t able to tell you exactly what’s wrong for you to be able help them. With this in mind you’ve really got to have a think whether your dog has a sleeping disorder and what’s the root cause or if your dog is perfectly fine. Let’s have a look at some common causes of canine sleeping problems and how to solve them without the unrecommended use of sleeping pills! Anxiety – has your dog recently been through a trauma such as fireworks aggressive dog incident? Depression – Dogs can get depressed just like we can. Many people suffering from depression may take sleeping pills to help them through the night but as we’ve covered here that’s not an option. If your dog suffers from anxiety their sleep may be affected so look at how to treat that and the rest will follow. Bladder problems – Bladder problems and incontinence can wake your pooch up in the middle of the night making you think they have a sleeping problem when really they have a bladder problems. Sleep aids won’t fix this! Pain – If your dog is injured and still healing or if you have a dog with joint/muscle problems then their insomnia could be caused by this. Pain relief is the best sleep aid in this situation. A very uncommon cause of restless nights but one to consider if you notice your dog being pretty active is restless leg syndrome. If you think your dog does have a genuine sleeping disorder please visit your vet and do not attempt to medicate yourself, especially with sleeping pills. Narcolepsy is a well known condition thanks to its surprising symptoms but nonetheless it’s a rare one for humans and dogs. Narcolepsy causes the victim to become overly tired and never relaxed which can lead to anxiety, muscle problems which can then lead to insomnia. Narcolepsy can strike while the dog is asleep which can cause serious problems to the canine’s mental capacity and REM state. If you think your dog has narcolepsy take them to the vet immediately and do not try and treat yourself! Sleep apnea is commonly linked with snoring! Or rather breathing problems in their sleep. The breathing problems can cause disturbed REM cycles which can have a big impact on a dog’s wellbeing. Most common dogs affected by sleep apnea are stubby faced breeds like bulldogs, pugs, boxers and obese dogs. Suspect your dog has sleep apnea? Take them to their vet and do not try to give them sleeping pills!